Inner Ear Feels Itchy, Why? Why Is My Nose Twitching? Facial twitch happens to everyone from time to time. Sometimes that twitch can be in the nose. You may feel an uncontrolled, repetitive motion of the nose muscles. Nose twitch is definitely annoying, especially when the twitch lasts for a long time or keeps coming back. It can also be quite embarrassing if it is bad enough for others to see. Though most will go away on its own, sometimes a visit to a specialist is necessary. For most people, the twitching of their noses is not a problem. However, sometimes it can happen frequently, can be seen by others and might even be painful. If that’s the case, it’s time to get checked out. One main cause of nose twitch is facial tic disorder. Doctors rate a facial tic disorder on how long the tics last, how severe they are, age when they first began, and how the tics present – whether they are vocal, motor or both. The disorder falls into the following three types. Transient Tic Disorder. This disorder occurs in up to 25% of children. It often lasts for anywhere from one month to one year. It usually presents with motor tics but vocal tics are also possible. Chronic Tic Disorder. These tics can be motor or vocal and last for at least one year. The symptoms begin before the age of 18. These are much less common, occurring in only one of every 100 children. Tourette's Syndrome. This is a severe tic disorder that usually includes both motor and vocal tics. Symptoms usually begin between the age of 5 and 18, but there are numerous people out there who have not been diagnosed. Those with Tourette’s syndrome often have serious facial tics in other areas, such as the eyebrow, lip or chin. 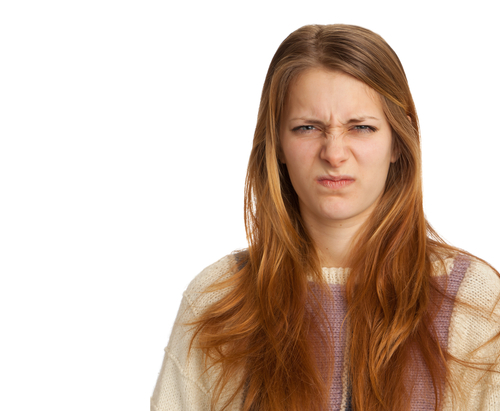 Sometimes problems of the nervous system can lead to nose twitching. These might include ALS (Myotropic Lateral Sclerosis), MS (Multiple Sclerosis), muscular dystrophy, Parkinson’s disease, brachial plexus injury, myasthenia gravis, or entrapment of the nerves in the arm. In some cases, the answers to "why is my nose twitching" are actually life-threatening. These might include pressure from a brain tumor, stroke, a traumatic brain injury, a transient ischemic attack (also known as a TIA which is a sign of an impending stroke), or the result of trauma to the face, head or neck. The twitching might be mild enough to be felt but not to be seen by others, or it might be severe enough to be noticed by those around you. Other common causes are lack of sleep, excitement or extreme emotions, anxiety and stress, stimulants (such as caffeine), a lack of potassium in the diet, and injuries to the capillaries in the nose caused by exercise. Certain medications and kidney problems can also lead to nose twitch in some people. Most facial tics do not require treatment, as they tend to go away on their own. Treatment might be recommended if the tics don’t go away, which include psychotherapy, behavioral therapy, dopamine blockers, stress reduction techniques, Botox injections, or medications that treat ADHD or OCD. Deep brain stimulation might be required to combat Tourette’s syndrome. Those who have suffered head or neck trauma, or any other potential injury that could lead to nerve damage, should see a neurologist. The neurologist can order an MRI and other tests to detect physical problems that answer the question of "why is my nose twitching?" The tics might be caused by a diet that is not filled with enough nutrients. Magnesium can be found in leafy greens and nuts, while potassium can be found in bananas – both minerals are necessary to prevent tics. Supplements of these minerals are also a good idea. Limit caffeine and sugar and drink plenty of water. Sometimes a tic occurs because the body is overly tired. Try to get at least seven hours of sleep each night. General anxiety can often lead to tics. Though seeing a counselor can help, some home exercises such as self-massage, meditation or breathing exercises might get things under control. Soothing music and deliberate breathing exercises to help relax are a good idea for your daily regimen. If the person with the twitch happens to be your child, he/she might ask over and over, "why is my nose twitching?" and get upset when it won’t stop. That’s why it’s important not to point it out if it happens. Ignoring it can help your child overcome it. However, if the tic comes along with complex involuntary motions or vocalizations, it’s time to go see the pediatrician, as this might indicate something more serious.